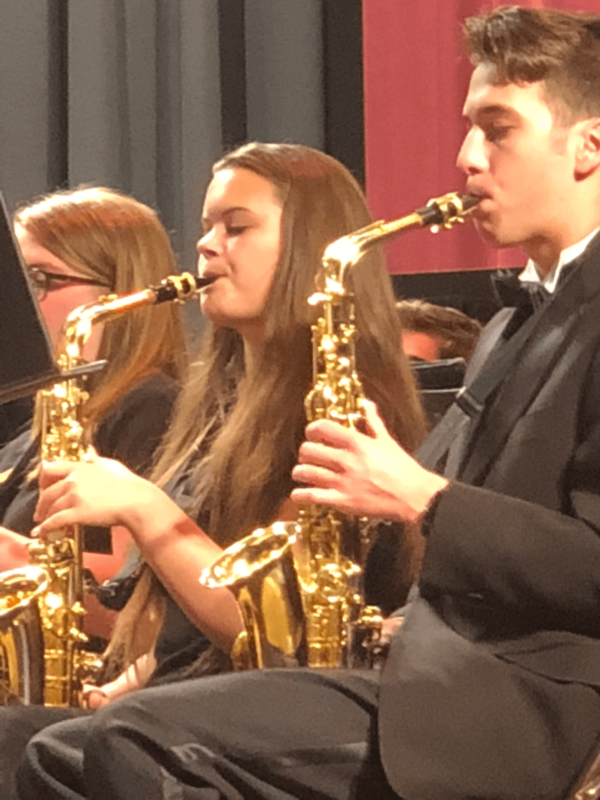 From left, Makenzie Raimond, Alana Robinson and Christopher Charon on saxophone. 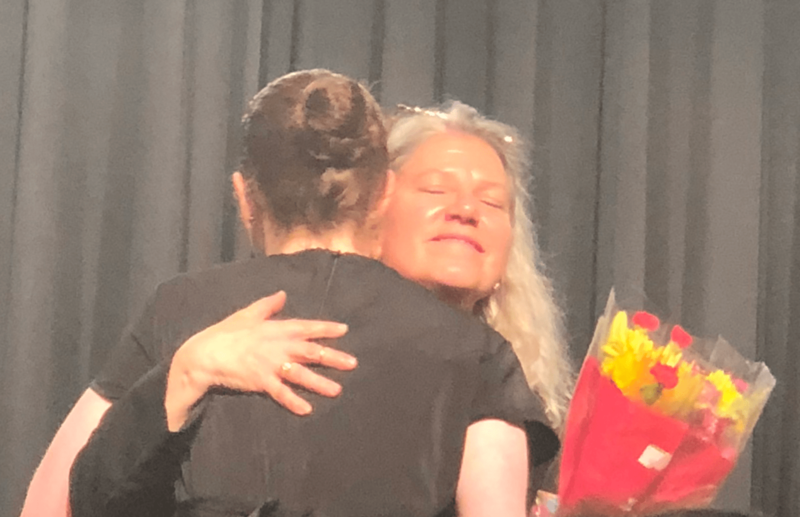 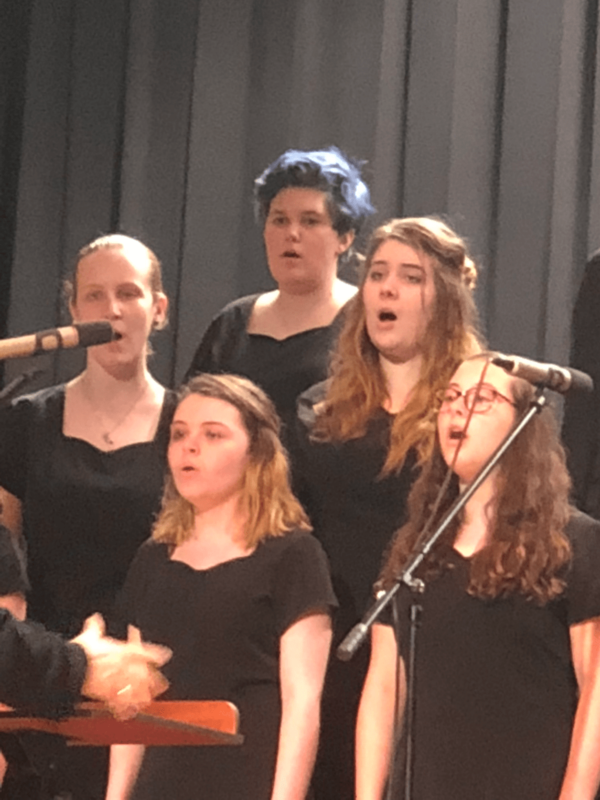 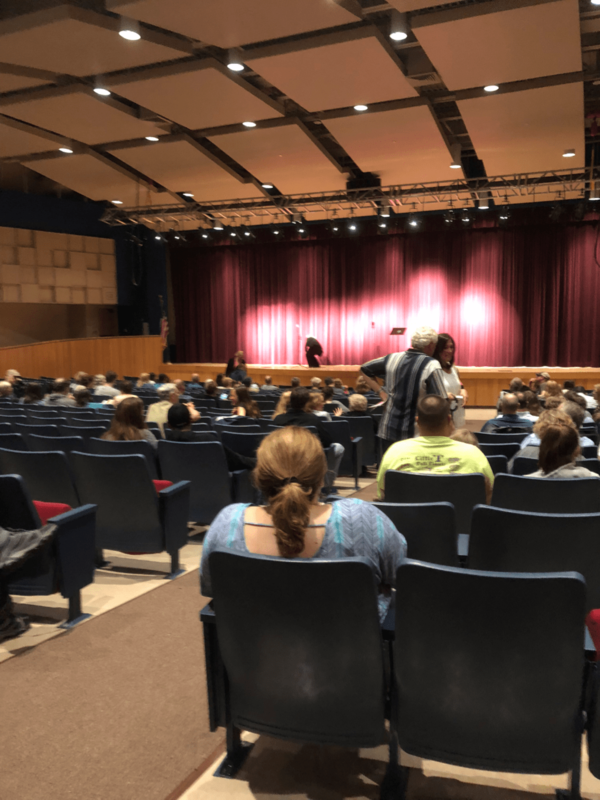 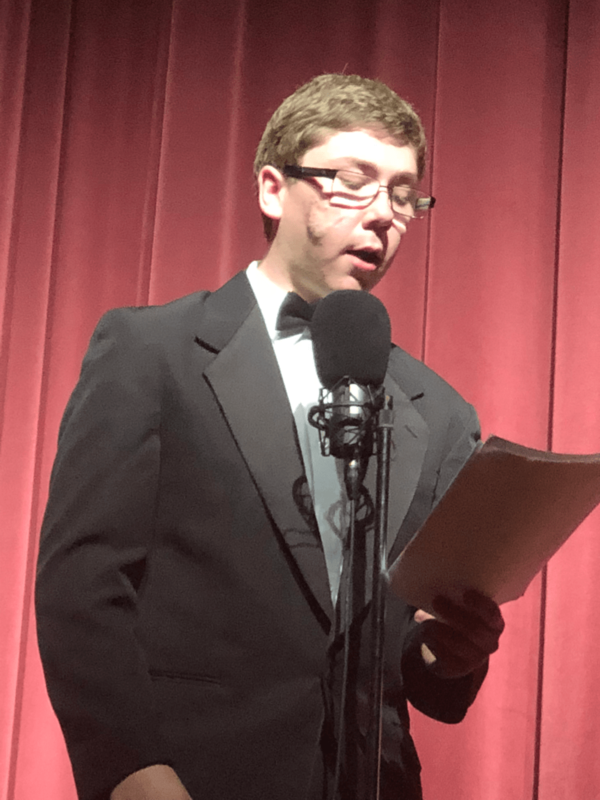 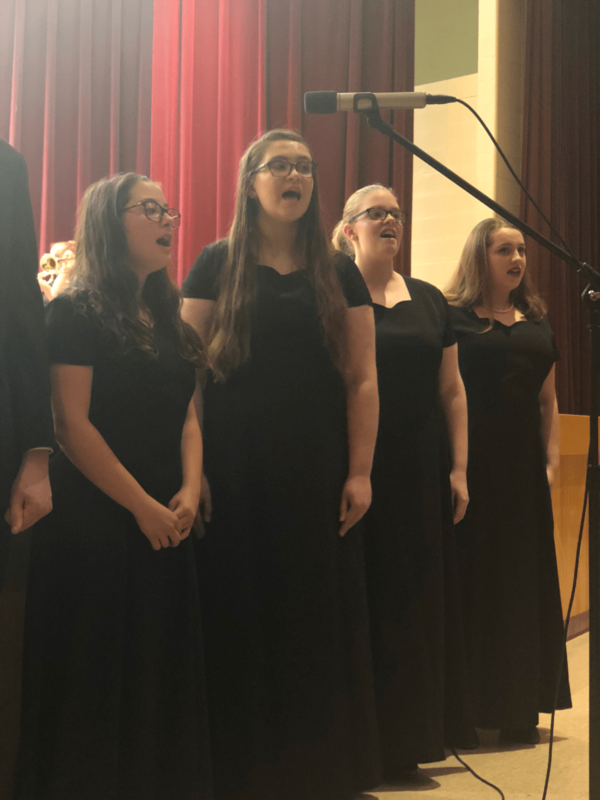 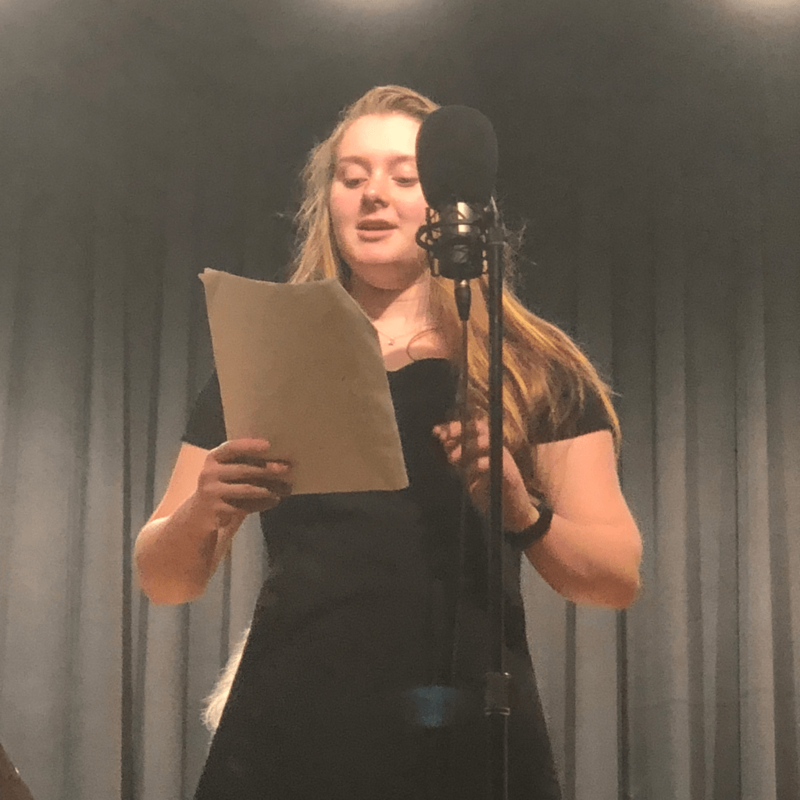 The Burrillville High School Spring Pops Concert took place in the BHS Veteran’s Auditorium on Tuesday, May 15 and included performances by the Select Choir and Wind Ensemble. 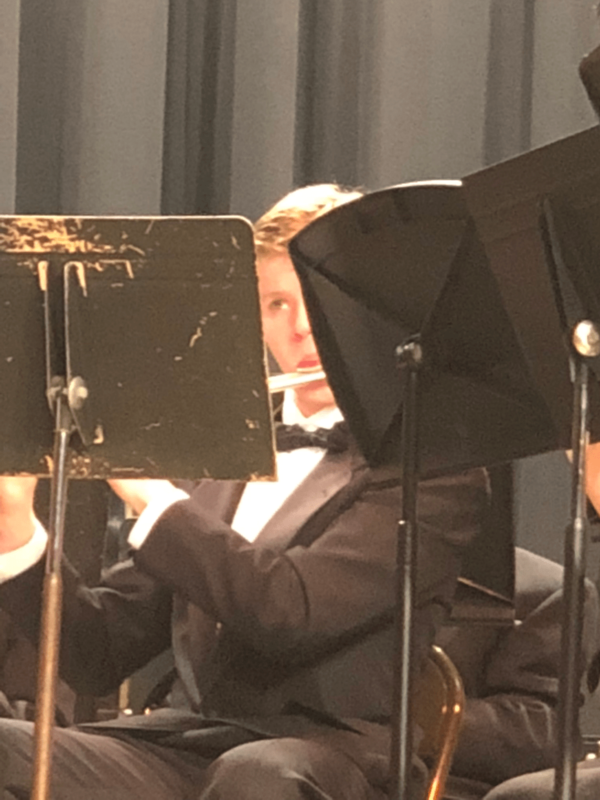 Tyler Vanable, vice president of the high school band, introduces the Wind Ensemble. 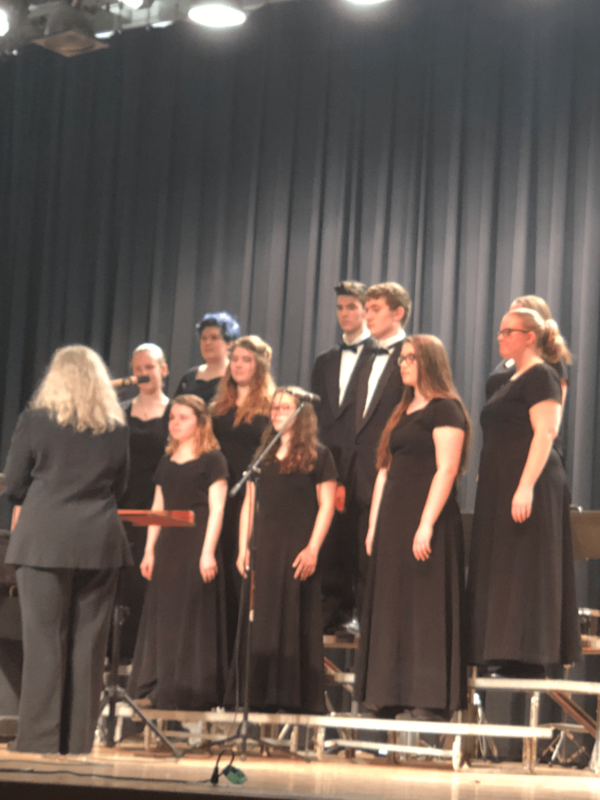 The Select Choir performs Credo. 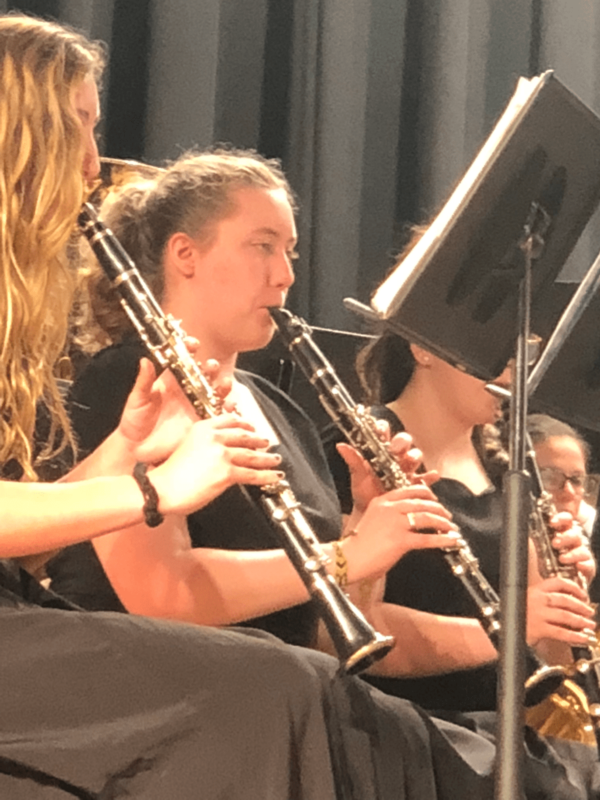 At the Burrillville High School music program’s May concert, Cameron Eaton, left, and Kathryn Schionning play the clarinet. 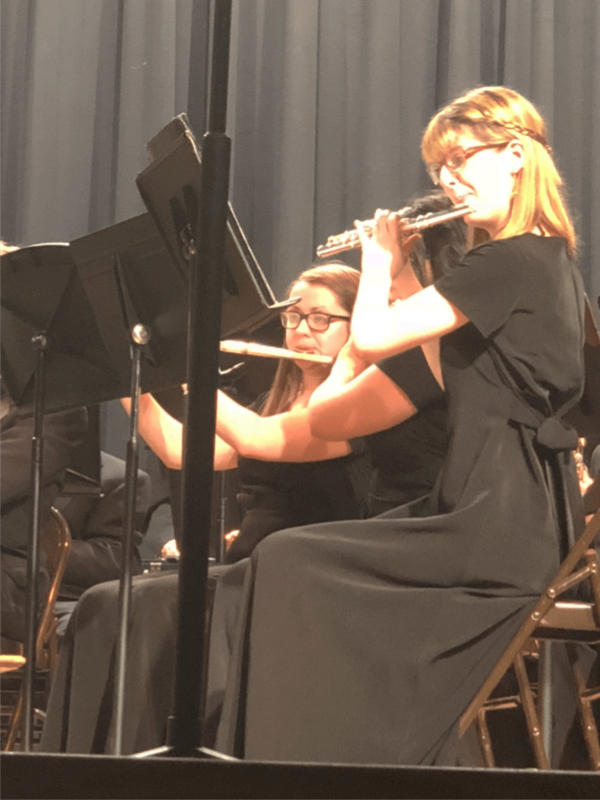 Band President Samantha Benjamin presents Director Dalen Favali with flowers and chocolates, a gift from seniors in the music program.